Yoga helps tone the body, improves functioning of internal organs, calms the mind and also helps rejuvenate the spirit. It’s a great way to meditate too, and we’re all including this in your fitness routine this year. 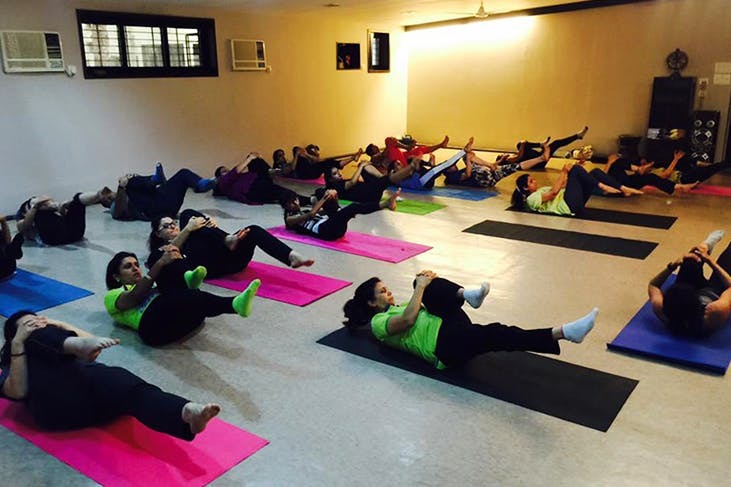 Check out these yoga studios around Mumbai that we absolutely love. This wellness centre is great for you if you love the art and science of yoga. There are a whole range of yoga session to choose from, depending upon your style, skill and endurance. They also have industry experts conducting sessions at this studio in Bandra. Sign up to enjoy an intense session that is totally worth every penny. Started by yoga instructor Sunaina Rekhi, this studio offers classes that target healing and core strengthening. The focus here is on health and the studio's Hatha, Iyengar-inspired yoga puts the spotlight on spinal health. This studio in Lower Parel is known as a center for holistic and integrative health, creative expression, artistic exploration, and personal transformation. They offer classes for Zumba, yoga and salsa, from Monday to Friday. They also host movie screenings and seminars. This quaint little studio on Carter Road is popular for its yoga classes and healthy food. In fact, this yoga studio offers 35+ yoga classes and vegan food! We for sure are huge fans of this Greek-style café at the end of a long work day. Apart from yoga classes, these guys also offer pilates and Zumba sessions to fitness enthusiasts. The experts here teach detox yoga, ashtanga yoga, tai chi, and aerial silk and anti-gravity yoga. #LBBTip- They also have special sessions for children. This yoga studio offers classes in traditional Hatha yoga and Ashtanga, Power yoga, yoga trapeze, functional movement, meditation and Yin yoga. They also have a floatation therapy centre next door! #LBBTip- You might want to call them up and check the different packages that are being offered. Situated in a quaint cottage in Versova, this is by far one of the cutest and the prettiest yoga studios we’ve come across. They offer flexible workout timings, and classes for ashtang yoga, hatha yoga and Iyengar inspired yoga. You can pay per session or even take a monthly membership. They are open 7 days a week. #LBBTip- This place also doubles up as a co-working space! Famous for classes in performing arts, this space offers some unique and fun forms of yoga. Aerial yoga on your mind? Drop by! They also offer salsa, Zumba, aerial silk, and pilates classes. You can pay per session or even take a monthly membership.